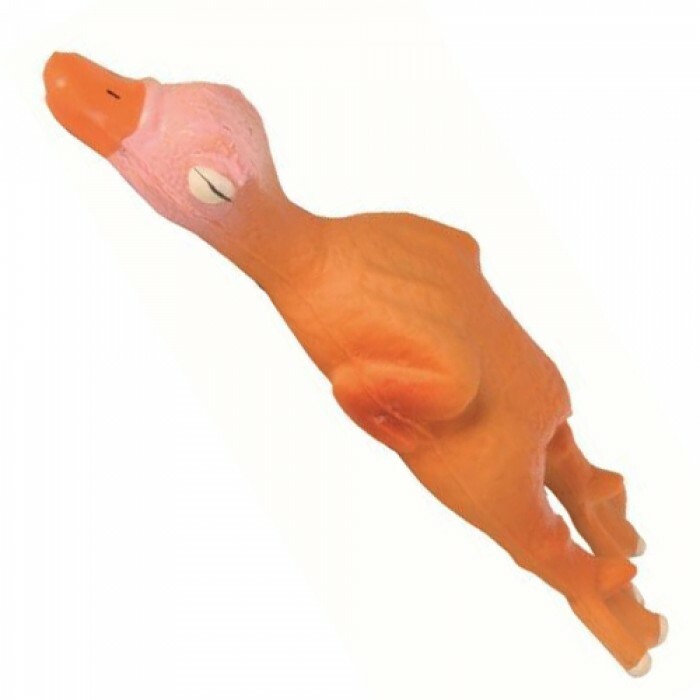 Product Details - Material - Soft Rubber , Dimension - 14 cm, Suitable - Puppies and All Breeds Dogs, Use-toy in the shape of a duck with voice. Product Information - This is a large toy which looks similar to a duck. You can just throw it around and let your pet hunt for it. It gives off sounds like a real duck.